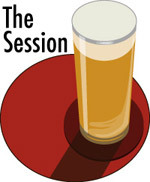 As someone new to blogging but not to the blogosphere or beer, I thought I would take a shot at the Sessions – apologies for late submission. Natasha of Meta Blogger asks bloggers to address the hard questions, those not being dealt with in the beer blogging world. The beer blogging world is a big one, so one has a certain trepidation in suggesting topics that have been overlooked or neglected. Still, despite that some people talk about it once in a while, I think more focus needs to be given to great lager, by which I mean primarily blond lager. From its inception, the revival of craft brewing has not ignored lager. One of the keystones of the quality beer edifice is Sam Adams Boston Lager. Still, in general, craft brewers concentrated on English-style ales and porters, and today other top-fermented styles such as APA and IPA, saison, wit and weizen and sours. The reasons offered for this haven’t changed from the beginning: lager is harder to brew and requires a more technological and methodical approach to brewing than top-fermentation brewing. Undeniably also there is the unspoken assumption lager doesn’t offer the same complexity of palate as top-fermented beer due to its quasi-industrial history and relatively recent date (1840’s for the blonde pilsner style which revolutionized European and world brewing for 150 years). The dumbing down of international lager in the decades preceding the craft beer revival only reinforced this assumption. Less hops, lower final gravities, more adjunct all conspired to make a beer few thought worthy of emulation. However, blonde lager in its heyday was a rich, flavourful, rounded drink including Pre-Prohibition North American beers at their best. A great lager was, and still is, one of the best beers in the beer universe. Only rarely though in North America, in my experience, does one encounter it. Sam Adams’ lager mentioned is creditable but doesn’t approach the best European examples. Ditto, say, Creemore in Ontario. While many good examples exist – and I do know the names, I’ve had a good number of them – for some reason, few achieve the heights of the great Central European models. In contrast, American ales, exemplified say by Sierra Nevada Pale Ale, took craft brewing by storm and now are emulated in England, home of fine ales, and around the world. Pilsner Urquell, even in the pasteurized exported form we get it in, is rarely equalled by a North American or English craft lager. Paradoxically, when North America does emulate well European models, it sometimes chooses the “wrong” ones. By this I mean, there are too many lagers with the characteristic “green” sulphur or cooked veg tang. It’s true that many European lagers have this taste – I encountered many on a trip to Germany and Austria some years ago – but it is questionable whether that flavour is a genuine one in historical terms. Terms typically used on rating sites to describe this taste are grassy, hay-like, yeasty, skunky (used incorrectly in this connection, but revealing nonetheless). Brewers have told me that these tastes age out with time, the yeast in the maturing brew re-absorbs them or they waft away. Lager used to be stored for 3-6 months and more, both in pre-Prohibition America and Europe, but today a few weeks is the more usual norm. It is notable in my view that Urquell does not have this flavour, or Budvar. Neither do the blonde beers from Bernard. And so, I think bloggers should talk more about great lager, where to find it both here and abroad, what makes a great one, and to encourage brewers to make more and better lager.